"We are proud to partner with this forward-thinking company to offer consumers a way to divert razor waste from landfills." 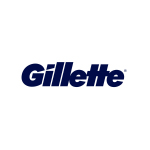 BOSTON--(BUSINESS WIRE)--Gillette (NYSE:PG), in partnership with international recycling leader TerraCycle, announced for the first-time in the United States that all brands of disposable razors, replaceable-blade cartridge units and razor plastic packaging are recyclable on a national-scale. Gillette Razor Recycling Program - Participants wishing to recycle their razors from home are invited to sign up on the program page https://www.terracycle.com/en-US/brigades/gillette. When ready to ship their waste, they can simply download a self-funded TerraCycle tracking label, package the razors in a secure, puncture-proof package and send it to TerraCycle for recycling.